View Poll Results: Would you commit to a Jeep Build-Off? Or give it to Ian, and it will need a total rebuild. We all know i treat my rigs with kid gloves, that's one of the reasons i sell them. I just can't bring myself to scratch them......Anymore. Ian would just sell it on ebay. Dec 31st works for me. I could probably build something crappy enough in 2 months. Can we have a bit longer please? Iv never entered a build off before and not sure if I could finish in 2 months! How about February 1st ? I'm IN on this one......and 2 months is perfect to keep the attention of everyone....I think ! (plus put some pressure on us to ...."get er' done" ! Is there a limit to the amount of Jeeps that we can enter ? Also...if you get alot of entries....you could even break it down into sub-classes....and have "Best of Class" and "Best Overall"...etc. How Does this set of Rules look? 1. Start Date is November 1, 2011. You are welcome to join late if you like, you will just have less time then everyone who started with the Start Date. If you want to join the Build-Off with a rig that you have already started you will have to post up a couple photos so the group can decide if it is to far along to join. In other words it will be up for a vote and majority will rule. 3. You must use 1.55, 1.9, or 2.2 Size Wheels, just make sure they look scale when you are finished. 4. You can use any chassis as well as Suspension set up. But everyone will be judging your Rig in the end so make sure it looks scale. 5. You will be asked to start a thread for yourself and keep it up to date as to the progress of your build. In the Subject line please add Jeep Build-Off. We have all seen the build threads where a person shows the progress of their build along the way. With photos and a brief description of your progress. A link will added to direct people to your tread so anyone can see what is going on. All you will have to do is give us the link and then we will post it here as people join the build off. 6. Date of Completition will be January 31, 2012. On the Date of Completion You will be asked to PM me four photos so that I can build a Poll that can be built to determine the winner of the Jeep Build-Off. That #3 rule puts micro builders out of the buildoff, could you change that rule up a bit? Okay, what would work for you? 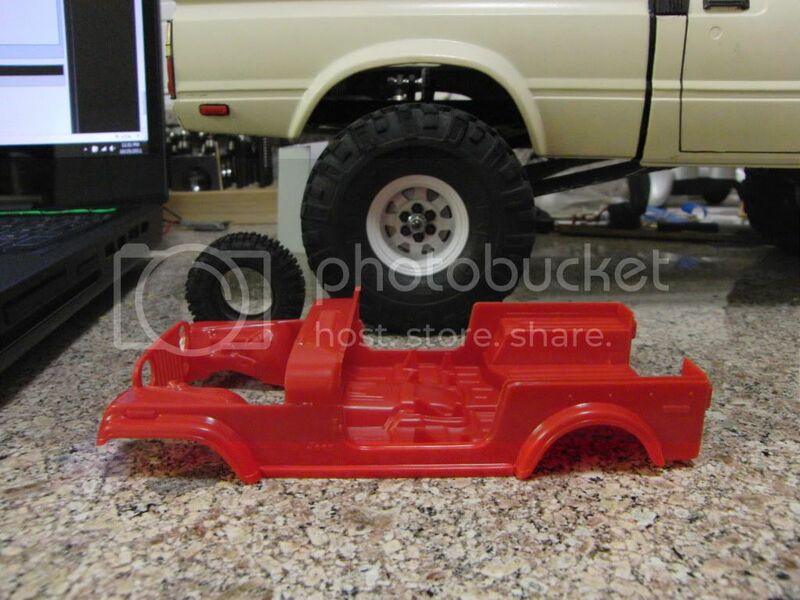 Well us micro guys don't have many options for tires so anything under 2 1/2", which is the tallest micro tire out right now & on a 1/20 build they look scale for a modded looking rig. 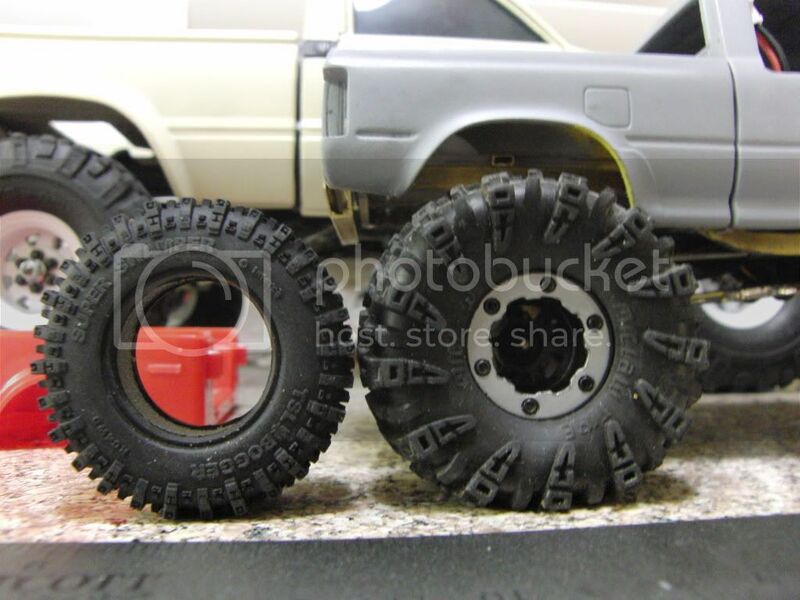 Here are some pics of rc4wd 1.55 & a RC4WD micro tire. 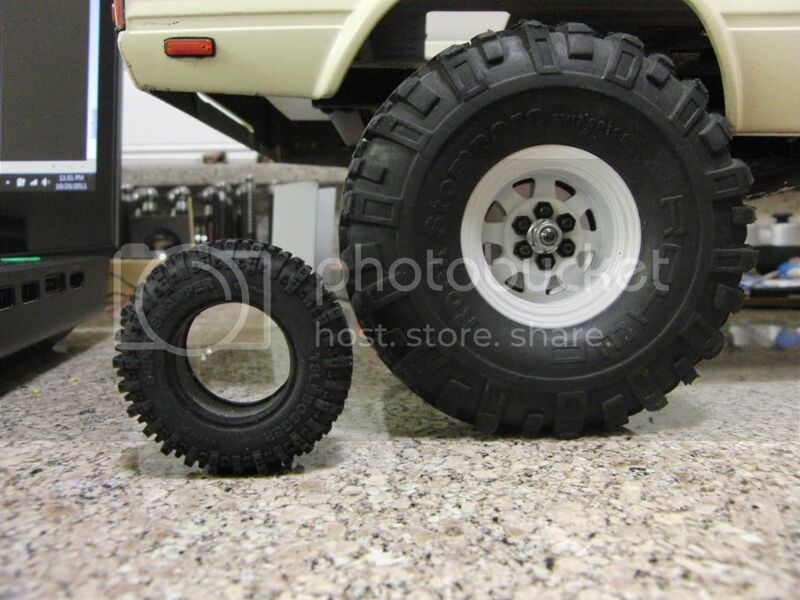 & Rc4wd tire next to the 2 1/2" mini qlo tire. 3. 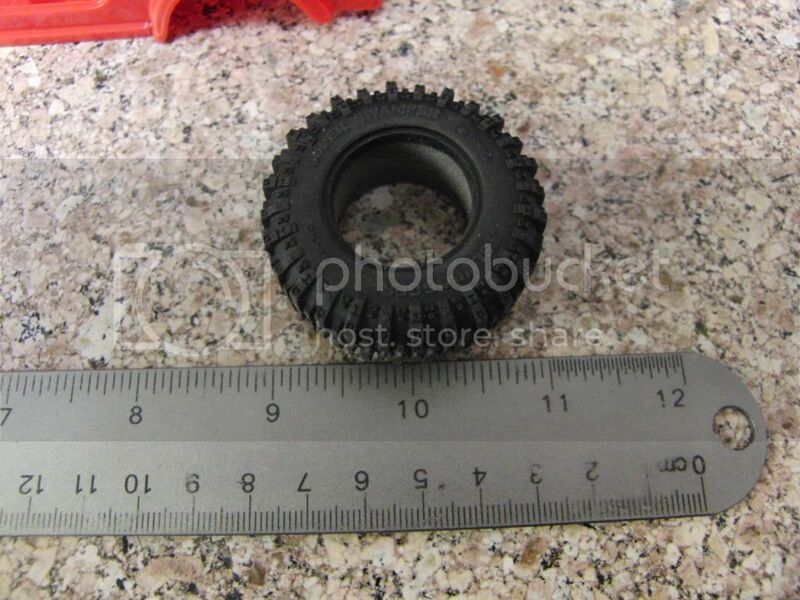 You can use any Micro, 1.55, 1.9, or 2.2 Size Wheels, just make sure they look scale when you are finished.